A perfect combination of Reykjavik City Sightseeing and Golden Circle Afternoon tours. On the Reykjavik City Sightseeing and Golden Circle tour, tourists can make full use of their time and see the most famous landmarks in Iceland in just one day. Make the most of your day and book this tour that combines Reykjavik‘s top attractions, interesting facts, and stories with the popular Golden circle Tour that showcases some of Iceland top tourist attractions. 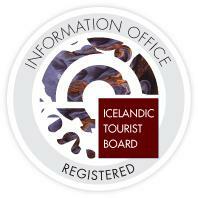 The Reykjavik City Sightseeing and Golden Circle Afternoon tour is perfect for you. On this tour you’ll get to enjoy a view over Reykjavik from Perlan dome, explore the oldest part of the city, and visit the Hallgrímskirkja church who’s design was inspired by basalt lava columns and Icelandic nature. Explore the farm style Presidential Residence at Bessastaðir and the town Hafnarfjörður, where a mysterious race of “hidden people” lives in perfect harmony with the human population. The tour then takes a break in the city centre where passengers are dropped off to take a stroll or have lunch (not included in the price).